Sweet corn combines very well with white sauce as it creates juicy, yellow speckles that complement the colour and creaminess of the sauce very well. 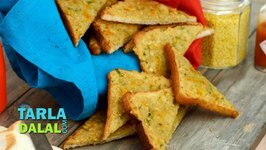 In this video, we will be making Chilli Cheese Toast, which is a very quick and easy snack recipe, which tastes fantastic. A perfect recipe to impress! Avocado are high in fat. The good fat. The omega 3 fat. 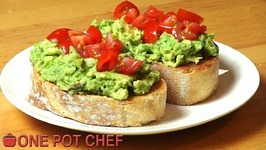 And avocado contain about 20 vitamins and minerals which are easily absorbed by the body. 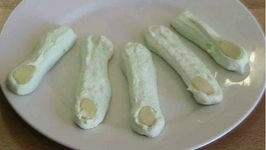 Spooky Severed Fingers are an easy to make Halloween snack, perfect for trick or - treating or Halloween parties. 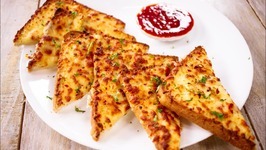 The Paneer Cheese Toast is an awesome snack that features an exciting interplay of two types of cheese fresh cottage cheese as well as processed cheese. Ordered for extra tandoori chicken? 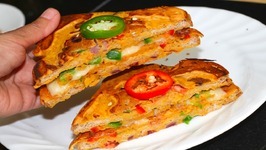 Then make yourself a quick snack Tandoori Chicken Melt along with crunchy colourful veggies and cheese. 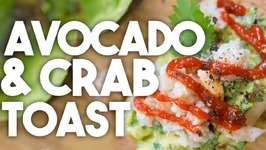 Avocado Toast is all the rage, healthy and delicious and topped with Crab is the perfect Easy Weeknight Meal! 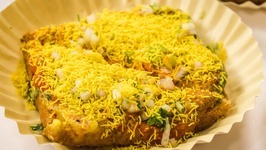 When it comes to Street Food in Hyderabad, Aloo Bread Toast stands in the top selling ones. 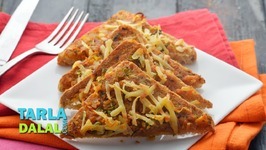 This crispy potato smeared bread toast with garlicy-tangy-spicy and .. 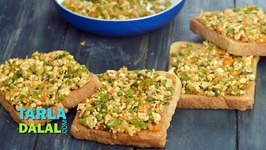 Here is a scrumptious toast with a masaledar veggie topping that reminds you of all-time favourites like Samosa and Veg Puffs. 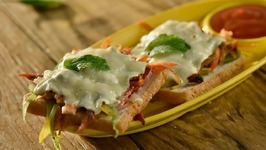 Looking for an amazing appetizer which is easy to prepare? Look no further. 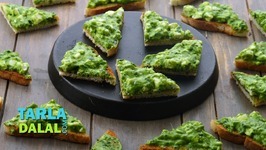 Palak and paneer have teamed up successfully in many dishes ranging from subzis to parathas .Here, they come together again to make a very exciting starter, the Palak Paneer Toast. 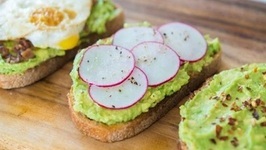 Ever heard of the very popular breakfast recipe 'avocado toast'? Well, I've taken that recipe and kicked it up like 1,000 times. 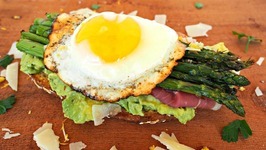 Quick, easy, nutritious, breakfast, brunch or light lunch recipe. 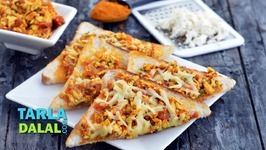 This amazing paneer masala toast is an easy and healthy option when you are running out of time in the morning. 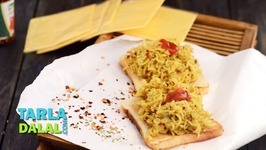 Is it possible to make Maggi appeal to adults, and bread toast appeal to kids? Well, here is how you can make the twain meet! A sumptuous preparation of toasted bread ..
Smashed Avocado Toast is the delicious, fresh and easy breakfast that everyone is talking about. 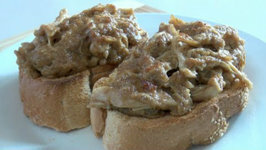 Thick, lightly toasted crusty bread is loaded with seasoned smashed .. If a snack appeals to everyone in the family, it is not only very satisfying but also saves time! 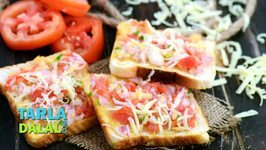 The Onion, Tomato and Cheese Open Toast is one such option that appeals to all. 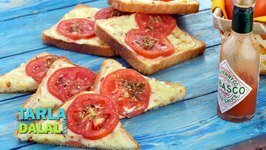 A mouth-watering starter of bread, baked with a topping of gooey cheese sauce, slices of juicy tomatoes and apt seasonings. 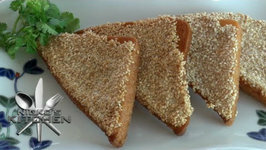 Sesame Prawn Toast is a home made version of the Chinese restaurant classic entree. 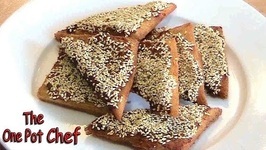 A delicious prawn mixture is spread on bread and coated in sesame seeds. 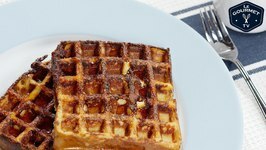 Much more fun than French toast in a pan and you can put way more maple syrup on. 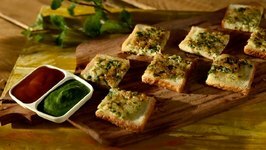 Truly unique, this Yellow Moong Toast is sure to become a hot favourite with anybody who tastes it. 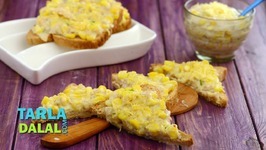 Bread is topped with a lip-smacking mixture of mashed potatoes and .. 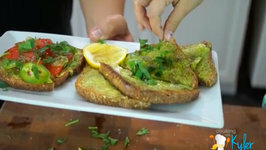 This video shows 3 different ways to make avocado toast for breakfast!